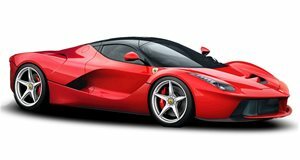 Ferrari is a master of many crafts and art forms, some better for enthusiasts than others. One of its strengths that fall into the latter category is the art of pettiness because as history shows, the Prancing Horse can descend to low levels of “no chill” faster than the drunken cast of Jersey Shore. The automaker previously banned one of the world’s better known automotive journalists, Chris Harris, from driving its cars after he revealed that Ferrari tunes its test cars differently than customer cars for better results. That’s a fight Harris seems to have won because this time around, we see him behind the wheel of one of the most unobtainable pieces of Ferrari unobtanium, the FXX K. With only 40 units in existence, it’s far more rare than even the LaFerrari Aperta, making it the ultimate status symbol for billionaires. It’s unclear how Harris got access to this 1,036 brake horsepower hybrid Ferrari with the automaker’s moratorium on the guy because even if he convinced a wealthy customer to let him get behind the wheel, he still has to go through a wall of Ferrari technicians that are shipped to the track along with the car. Hurdles be damned though, and we’re incredibly happy about that because Harris uses his mastery over the art of speaking concisely while pulling extreme cornering g force to relay his experience to us. Until the Aston Martin Valkyrie and Mercedes-AMG Project One comes out, this is probably the closest any pedestrian driver will come to the Formula 1 experience.